One of the important benefits of Omega 3 is to prevent oral cancer and skin cancer. Researchers from Queen Mary, University of London, England, revealed that omega-3 fatty acids can help prevent the growth of malignant cancer cells, especially on the type of cancer that is commonly called squamous cell carcinoma (SCC). Another benefit that is not less important is, prevent heart disease and stroke, good for fetal development, nutrition supply to the brain, and many other key benefits that we can get. Of the three, EPA and DHA are more beneficial to the body and only obtained from fatty fish, especially fish from cold ocean. The discovery of the omega-3 actually came from observations by the experts of the Eskimo people. Those who live in the polar region, is not known to have heart disease. While the Eskimos who live outside the polar regions (eg, in Denmark), many are stricken with heart disease. Why is that? The answer is related to diet. The main food Eskimo communities in the polar region is raw fish. Once analyzed, the fish that they eat have eikosatinpanoat fatty acids (EPA), which is then called omega-3 fatty acids. Research also continues, to determine the role of these elements on heart health. As a result, the omega-3 fatty acids shown to have a good effect on the body. People who consume omega-3, the pieces of blood (platelets) are not easily broken or clumping. Omega-3 fatty acids make the blood vessel walls (endotil) strong, not fragile, not easily penetrated substances that can break the wall of blood vessels, and does not wrinkle easily. Strengthen memory: omega 3 deficiency in adults will lead to performance and brain function will decrease as loss of memory and other brain function decline. Maintain eye sight: Approximately 60% of the retina in the eye formed by omega 3 and will result in the myopic eye if the lack of intake. Preventing heart disease and stroke: If deficient intake of the omega-3 triglycerides and LDL levels in the blood will increase so will result in the accumulation of fat which will close the blood vessels and the impact of high blood pressure. Good for the pregnant mother and fetus: The benefits of omega-3 is suitable for pregnant women, especially for the fetus. Omega 3 helps the mental and physical development of infants. Addressing inflammation: While for the elderly can be overcome inflammation in the joints as well as omega 3 can maintain the health of the skin. Reduce depression: Depression in this case is mild depression. 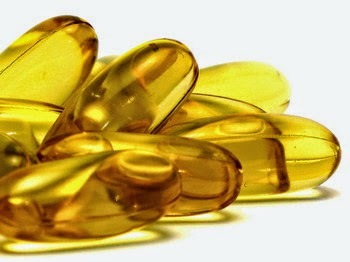 Depression can be reduced by combining the omega 3 with anti-depressant medication. Improving blood circulation: Omega 3 can also facilitate the circulation of blood and avoid blood clots that cause strokes. Eggs: Chicken eggs are food that you can find anywhere. Egg consumption can meet nutritional intake of omega-3 fats. Egg yolks have a healthy fat. From an egg, you can earn approximately 40-250 milligrams of DHA and EPA fatty acids. Walnuts: Walnuts are one plant foods with healthier fat content of 2,600 milligrams is enough to nourish your body. Salmon: Salmon is famous for its high content of EPA and DHA, can provide approximately 1,600 milligrams of omega-3 fatty acids are good for your child's brain growth. Tuna: Tuna is currently discussed as rumored presence of mercury in them. However, if we can choose fresh and not eat to excess, there are approximately 1,100 milligrams of fatty acids that can be absorbed by your body.